October is a time of shifting seasons for us. 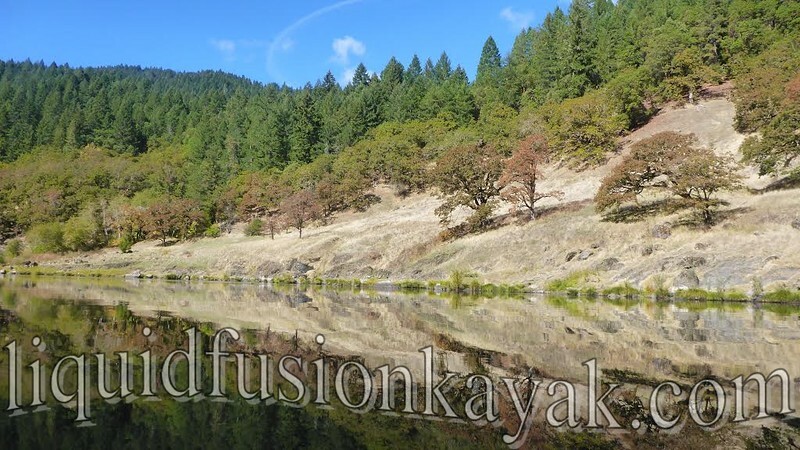 We wrap up Liquid Fusion Kayaking's main sea kayak instructional season with at trip to Oregon to teach at the Lumpy Waters symposium. Often we enjoy a few days exploring the Oregon Coast on our trip home from Lumpy. 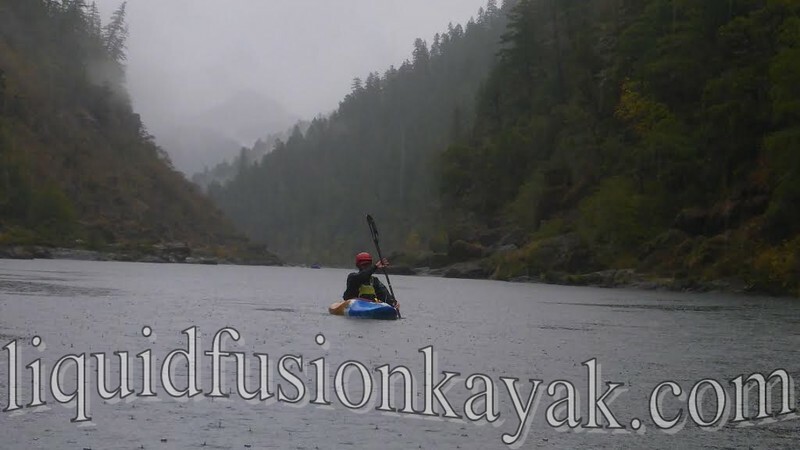 This year, we decided to step away from the salt water and air and get a good fresh water rinsing so we made plans to meet up with some friends for a multi day whitewater trip on the Rogue River. Fall is a beautiful time of the year to paddle on the Rogue. The weather was warm and we enjoyed the changing leaves and scenery. The run that we did was from Grave Creek to Foster Bar. 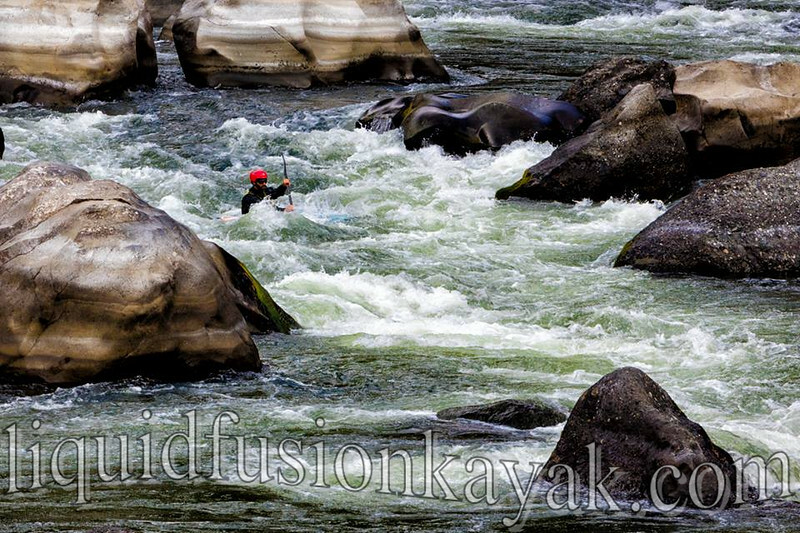 At a flow of around 1900 cfs, it was a leisurely run of 34 miles with class II/III whitewater rapids. It is a fall tradition for the raft and drift boat guides to put pumpkins along the river. We enjoyed spying the many pumpkins and gourds along the river. Of course we enjoyed running the whitewater rapids of the Rogue. Both Jeff and I enjoyed running Blossom Bar. 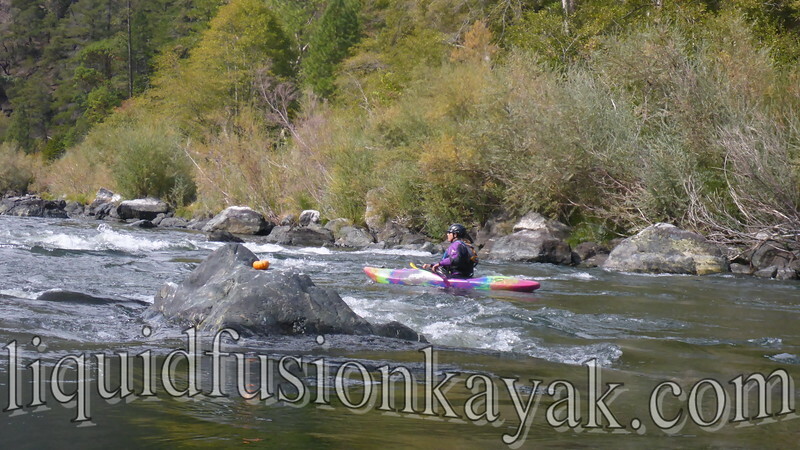 While tricky for a raft, it is a fun rapid to run in a kayak with lots of options for eddy hopping and slaloming one's way down river. To spice things up a bit more, Jeff had to take a leap off the traditional Jump Rock on the Rogue. He made quite a splash. 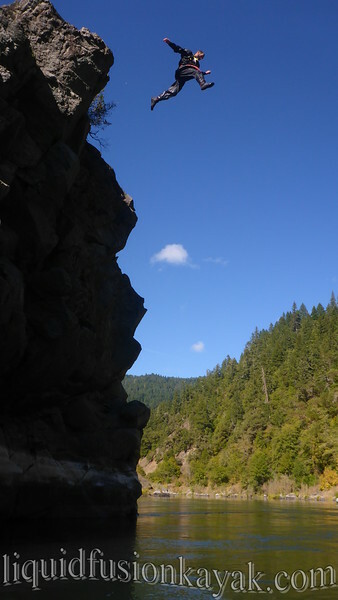 The Rogue can be quite busy in the summer with hikers and river users (kayakers, rafters, drift boats). October is a quieter time on the river. 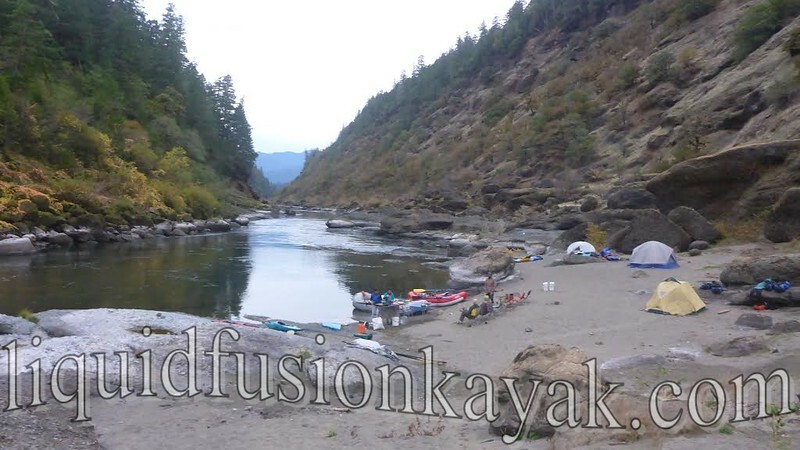 Many of the commercial rafting companies wrap up their season in September so we were sharing the river primarily with drift boats with fishermen and a couple of gear rafts carrying equipment for hikers. 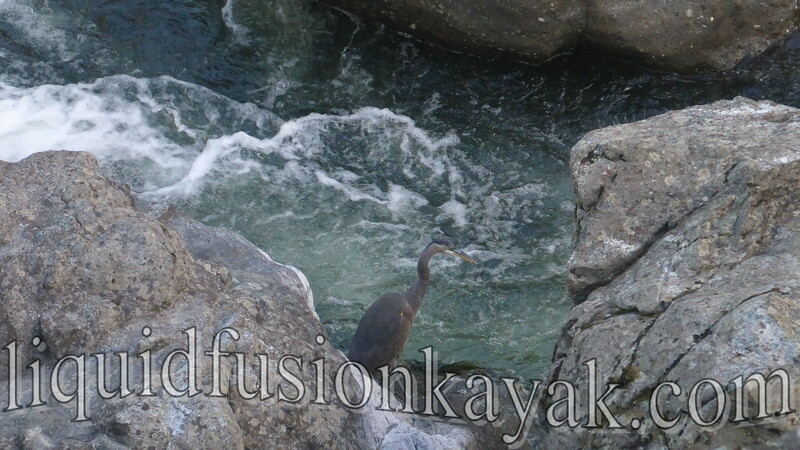 Many of the fishermen, river users, and hikers were staying at the lodges along the river so most of the prime campsites were open. My favorite camp was at Clay Hill. On day 3, we were setting up our final camp for the trip at Clay Hill. 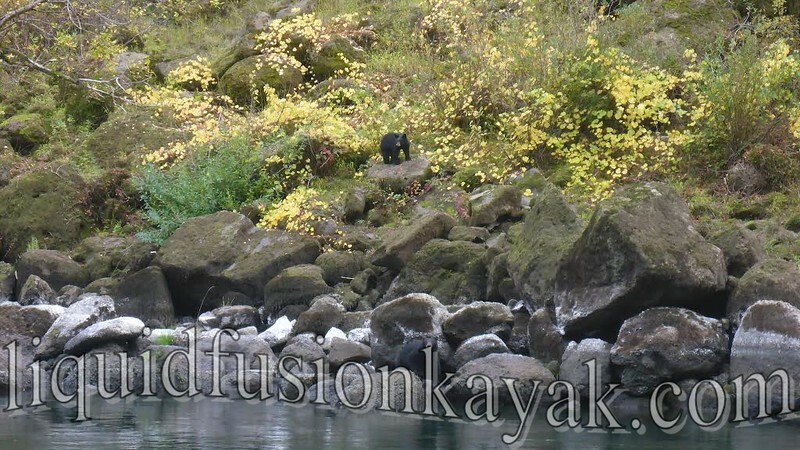 When across the river from us, a mamma and baby bear appeared. We hooted and hollered to let them know that they were not welcome to come visit our camp. Baby scurried up the hillside and out of sight pretty quickly. However, mamma bear continued on her course along the river. It looked like she was looking for fish. I bet none of us slept much our last night on the river. We were a little concerned that mamma bear might come visit our camp. She did not but it started raining around midnight. It was a beautiful steady rain. Jeff and I both enjoyed listening to it while we were all snug and dry in our new tent. the next day we packed up and paddled in the rain to the take out. 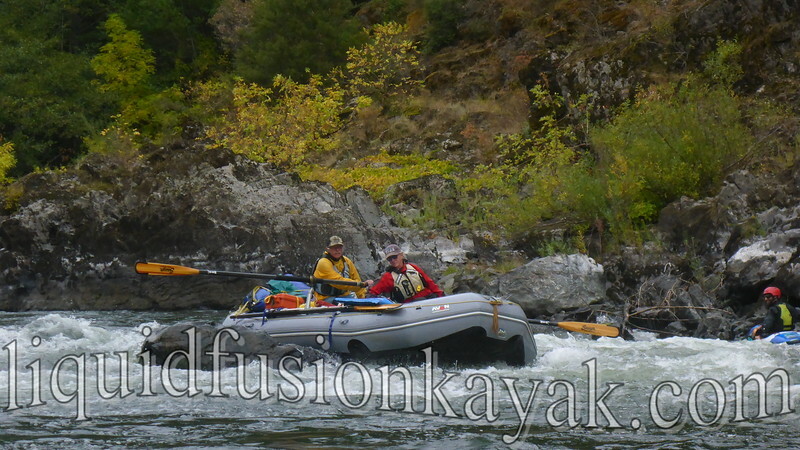 Here is a link to more photos from our October 2016 Rogue River Trip.